society | B +Ve !! I am not at an hospital or a mental asylum but all that I visualise now is the picture of doctors around the globe and their service to humanity. From my experience so far I had with people earlier I came to know many having pleasant experience and few having bitter conversation with doctors. Let me check how these experiences going to shape my thoughts as I write here further. You might have heard and read about this topic several times elsewhere before. It just sparked to my mind again and I felt to share my views once more. I can do this repeatedly as long as it serves the purpose most desirable. Every human being has the responsibility to serve their nation and society. We can find opportunities to do this and play our role well. While all can find opportunities, doctors need not have to look for it. They are direct servants to people by profession. Today when we celebrate world doctors day it reminded me of their greatness and service to our society. We are not complete without them. Let’s just analyse what they do when they diagnose a patient without going in details about their work and studies. Simply talking in a layman’s term we can say they find the root cause of the disease and then take action to cure us from it. Anything that goes against social and human values is also like a disease. It’s like an epidemic when people get affected by it from others without their true knowledge. It makes people mentally sick over time when widespread at a larger part of the society. The worst affected are children. We all can play the role of doctors to some extent and cure illness in society when we understand the root cause. The problem is acute when the disease is already widespread but only very few realise it. If you have already discovered the root cause still you may not get good support from all if you express your views without their understanding. It’s because of their wrong practice over years and people are already under it’s grasp. It’s acting like a slow poison and killing people from inside gradually over a long period that they don’t realise now well. This sickness gives them pleasure and they don’t want to give up. So, it’s required to generate awareness before taking any action as no action can bring benefits without support of all. What is the difference between doing the right things and doing things right? Is it directly linked to our culture? Probably I can have a better perspective with good understanding of our culture. So, before analysing about doing the right things let’s understand more of our culture. A culturally fit society can successfully root out all evil plants spreading illness in it. If I understand the above well I feel it’s about doing the right things all the time irrespective of what others say about us and if anybody watch us or not. Then only we are culturally fit as it’s now ingrained in our blood along with other core values. We do the right things to please others because we feel insecure to do anything unpleasant in the presence of others. We start following our wrong pursuits at the slightest opportunity as we are passionate about it and practising these habits for a long time now. We don’t like to do any analysis on our habits whether right or wrong as long as it’s pleasurable to us. We find it difficult to give up even when we understand it’s a wrong practice. Certain practice’s are predominant in the name of religion as well and people who realise find no courage to go against these because of the fear of social wrath. It needs strong determination, courage and simple practice. We can bring any change if we start following our heart. Mind often misguides but a pure heart will never guide anybody think and act wrong. It will never ask you to hurt your fellow human beings and cause pain to any living organism. With the above strong pursuits in mind I can visualise cultural fitness at large and practical realisation not far away. It’s quite attainable and as simple as our understanding. When we do the right things we help ourselves and all around grow further culturally. It’s very much essential for our own security and upliftment of the human race. Let’s all unite together to build a great society with strong culture that can last forever. I wish all a very Happy Doctors Day for their continued and countless service to humanity!! ** Do comment with your kind words and share as you care! Categories: communication | Tags: culture, society, values | Permalink. 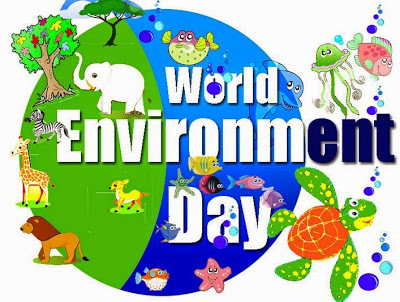 First of all a very happy ‘World Environment Day’ to all. Do you believe we create our environment? Our happiness or suffering greatly controlled by our environment. When we have the power to create our environment we can build the right one and give it adequate protection. We also need to protect the natural environment not created by us for our own benefit. 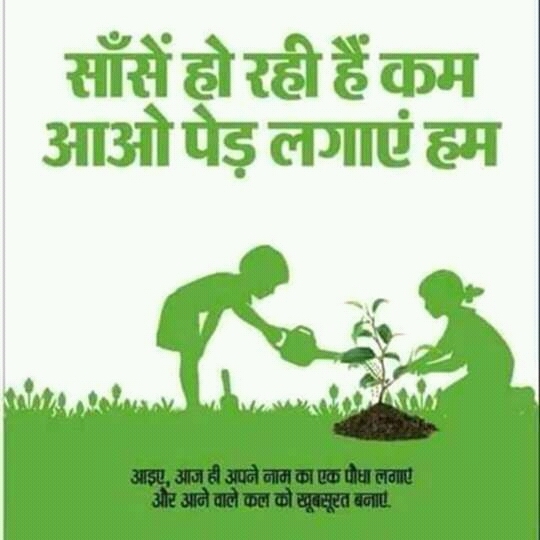 Today is world environment day and I am thinking about my mother. But today is not mother’s day. Are you surprised how do I relate my mother with my environment? Nothing surprising at all. Think like a baby and you will get all answer. A mother’s womb is the first environment for a baby. It has everything for nourishment and growth of the baby. The baby feels safe in this environment and loves it. The world outside can never understand what and how the baby communicates with the mother while still inside the womb. It moves and changes position inside. Only a mother can understand it’s need. What comes first? While love is misinterpreted by many lust is attributed with many factors. Your lust could be closely working with your greed to possess something as yours. What is the natural instinct of human beings? Love is natural and gods wonderful creation. It is same as god. It’s ‘anadi’ ( without a beginning) and ‘anant’ (without an end). We fail to understand love correctly as we develop lust within. Impure thoughts cause a lot of harm to our own and the world around us. For example I love my little house and my natural environment surrounding me. Somebody is lusty about my environment and has a dream to make a lot of money to satisfy his greed. He bought all the land in my surrounding and built his factory destroying all forest land. I am still safe in my home as I refused to sell my piece of land. But how long? One fine day I decided to leave my house I loved so much as the I find my environment quite polluted and no longer safe for a living. It’s easy to understand how we are all interdependent. The world is beautiful when we share love with all but our lust will destroy all relationship. When we grow older and develop senses to perceive the world around us we come to learn about lust. It is always secondary and love comes first in your life. Just think about a child or your own childhood. How did you feel the touch of your mother when she caressed you at sleep? How did you feel when offered a chocolate by another family member? You definitely in love with the other person even without your knowledge. The heart was filled with joy without the knowledge of any suffering as if the world is yours. You never felt insecure in the hands of your mother. That is pure love for your mother and affection of her to you. It’s only service without any expectation. As a child you had no knowledge of lust. It’s all love only. So what comes first, now you decide. Now just spend some time thinking what all changed in your life as an adult. Now you have come across many in your life. How many are still in your life and care for you? How many you do still care about? It’s only your mother and may be little of any other family member close to you like your father or sister. So, what really changed for you by this time when you are almost half way through? It’s not the love but your perception attained by your experiences with people and your worldly knowledge. As a child you had no such knowledge and the pure heart was filled with love. You were an ever joyous personality free of all evil forces. It was only love and nothing else you first learned from your mother. Mother has no replacement. She never asked you anything as a child you remember? Does she ask you anything now when you are well established and started earning? Her whole life is an example full of service and sacrifice for your development. I am no different and it’s all the same with me. She will never ask you anything for her own need. All she need is your time with her away from all other work. Don’t leave her alone at her old age. Like your mother, your environment will never ask you anything except your love and care. We just need to give it adequate protection. This is all for our own benefit and well being. Sit with her and listen to her regularly. This will be the best investment of your time you spend with your loved ones. Talk to her and learn from her. Our environment is like our mother. You love her and you will get all love in return. Probably, this is the reason we call it ‘mother nature’. Somebody who cares for us without any return expectation. We can rediscover our life within it. We all love our siblings. We can understand our mother nature better if we can extend our love to it’s other creations as our siblings. I think we all understand what I mean. This includes all the flora and fauna. Do share and tell the world how much you care! Categories: communication, environment, society | Tags: environment, mother, secret talks, society | Permalink. ARE YOU DOING, TRYING OR CRYING !!! What do you usually do when you don’t know what to do about something that puzzles you? We often face challenges at home, at work and in every other facet of life. It’s important how we tackle those problems. Can we see a problem as an opportunity for us to do better? When i face an issue at home, i used to discuss with my family members. I first try to find a solution myself and later go for a discussion as i feel the need. Sometime i feel what will happen, how my elders will react if I reveal the fact. Finally i go for a discussion with a fear things may go out of control. Whom do you approach first at home? I think the answer is obviously a person who is close to you and having good understanding with you. For me it’s my elder sister and my father. It’s not that i am not close to other people in family but they are the people who understand me better as i spent most of the time with them during my childhood (from school days till my graduation). They are the best counselors and i find better solution/idea from them most of the time. They generously help us without any selfish desire. That is the power of bonding in great relationships. Have you ever faced a situation when your sister/brother seeks your help? That is easy for your brother to explain. Sometimes it’s easy and at times little difficult for your younger sister to tell you in detail. How about elders? Your elder sister may find it very difficult and never tell you. They just indicate when needed. It’s not because they can’t but because they don’t want to bring more trouble for you. They have enormous patience, tolerance and perseverance. They digest everything to keep you out of all trouble for your better future. How do you help your sister when you understand a need? How do you react and respond to such a situation? Will you do that for her or tell her how she can do that herself? Let’s utilize our brain power and come up with fantastic ideas. Now, let’s discuss about our workplace in general. Do you face any issue at work like a conflict within your team or finding some good idea to build a great environment? If your answer is YES, what do you do about it? How do you get a future-focused idea? Say, you are confused and going blank but can’t discuss these issues at home as against your company policy. Whom do you approach in such a case? If you say it’s my HR I’ll not believe as people tend to have a fear factor attached. It’s not a general case but happens to a majority of people. Let’s assume you are such a person then who do you approach next with your work related issue. The logic is again the same and it’s the colleague most close to you. She/he could be your team mate, a team lead, your manager or some other in your organization. It’s good to approach our peers at work at the time of need. We develop bond with people at work over a period of time when we work together. It’s a natural process either with or without our complete knowledge. It’s healthy for our personal development and healthy for our company too. So, what is that bond and drive us together? The logic is again the same and we understand that from our common-sense. Do you have a second thought about what i want to say? I am talking about great relationships that bond us together in a family. That is the key to success. It’s a general truth and applicable everywhere. All the above happen when we fail to bond with others in great relationships. Neither can we solve our own problems nor can we extend our helping hand to others in need. People listen to you when they respect you. Why people disrespect me? Is there anything i need to develop in me, is there a lack of understanding i must look after? It’s nor always the case. There are people who love to have fun. They just overlook everything that comes in their way. It’s the behavior of children. Some adults too behave childish who are not fully grown in their level of maturity as expected of their age. Some people have fun insulting others. Some do that with their peers to prove their supremacy and show others inferior. You are my BOSS, see i am doing this that you can never do. This is because of ego. Some others show strange behavior to retaliate. Why do we face such issues? You say its human nature and five fingers are not equal. We can’t do much about it; it’s about attitude of a person that can never change. It is true that five fingers are not equal but what made you think we can’t do much on this? Is it a preconceived notion derived from your past failures? How much have you tried? Why shall others accept my idea? Unite your mind and heart in deep meditation. You will find the all answers from the divine when you wake up. I remember my school days when i used to play with children at our school playground. Sometimes we used to play gully cricket and block the road not to allow any traffic as if our own property. I’ll collect more thoughts from my memory and write more on this later. Whenever i play with children, i learn something good. The rule of the game with children is there is no rule. They sometimes don’t know and most of the time love to break rules. They are opportunistic and it’s their characteristics. The moment they understand the rival party is weak and don’t know about rules (as per their assumption) they start dictating. They start bluffing with their own set of rules to prove their supremacy. There rule is either you teach me or I’ll start doing that with you. Now, the question is how will you take control of your team in such a situation? Will you give them more opportunity to create nuisance and become a silent spectator? What will be your approach? Are you doing, trying or crying…? We are all called to be leaders. There are leaders around the world who are working day and night to develop a better company for a great society. They are visionaries and focusing hard to give us a great future. Let’s think like leaders and angels of change. It’s the wish of the almighty and we are their messenger to do good for all. Let’s look at others in a different angle and empathize. Can I view problems of my team mates as my own problem or that with my sister/brother? We can bond with others sharing great values we learnt from our elders, books and our society. Allow people misbehave/insult you. Crying is never an option and trying is somewhat OK. So, let’s stop crying and start doing… We can bring change and turn the table around! Categories: Uncategorized | Tags: change management, human development, society | Permalink. 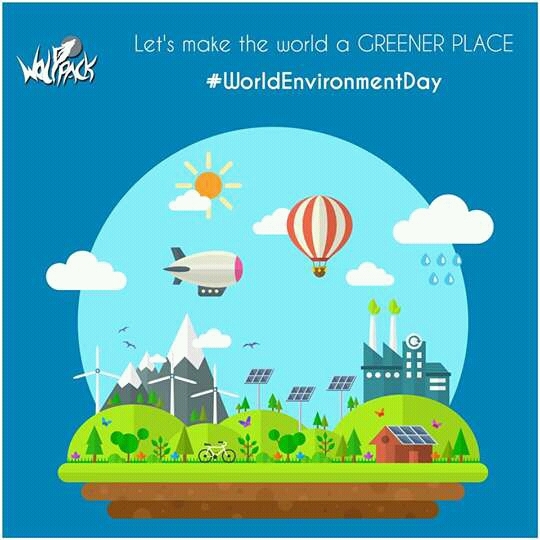 Our environment is a topic of general concern and i have many thoughts coming to mind today on the occasion of world environment day. When i am looking at a great future for all living species, it can’t be without a safe environment. We celebrate world environment day on 5th June and the day of biodiversity on 22nd May every year. Our environment has a big picture. It’s not limited to our surrounding like our workplace or home. It’s the world as a whole. Why i say the whole world is because one place is not independent of the other when it comes to our environment. When we cause harm to nature at one place, it can affect some other place far away. It’s because of imbalance. Rapid deforestation, industrial pollution and many such factors are all responsible for this imbalance. One major example is earthquake/tsunami that is caused by imbalance in tectonic plates under earths crust. Heavy rainfall causes landslide like that happened at Uttarakhand in recent past. People argue its all natural and we can’t control it. Alright, but who knows. Even if i assume it’s beyond control of human species, then what right do we have to cause harm to something that we can’t create or control? Nature improves our living standard. It gives us all the basic necessities of life. Mother earth gifted us with all the resources to live a happy life. It constitutes of flora and fauna in many forms. What we give her in return? She doesn’t ask anything in return. We should think about something to present her in return. We always protect when we get something as a gift. Nature is a gift to human beings among all its diversity. Shall we not take care and protect it? This will be the best present to her and this is something not beyond our control. What i found in dictionary the meaning of biodiversity is “the diversity of plant and animal life in a particular habitat or in the world as a whole”. I consider diversity in the world as a whole. Let’s have a look at the importance of biodiversity in its various forms of life. We have various types of plants and animal species in land. Marine life covers a great number of creatures in the form of fishes, aquatic plants that we don’t come across very often. All forms of life are important for sustainability and growth. We get oxygen from plants and they play a major role in controlling the temperature in our ecosystem. We get all our basic needs like food, cloth and shelter from plants. We get fuel to cook our food from plants. Animals too serve a great purpose in our development. Animals live in jungles unlike human beings. It’s their habitat. If we destroy their natural habitat by cutting trees, they will be homeless and may come outside to our area in search of food and suitable space to live. Few animals are now categorized in the list of endangered species as they are in the verge of extinction if we don’t take necessary steps. Tigers control deer population. Nature has made them carnivorous to feed on herbivores. There are some species that depend on others for food. It is by nature. If there is a decline in population of single species it will affect the dependent. Nature created all the species for our wellbeing and to maintain balance. We need to take care to protect it. There is a strong interdependence of biodiversity with our development and poverty alleviation. It is more significant to developing countries where there is poverty in large scale. We must be in a position to fulfill our basic needs before going for industrial growth. All this we get from the diverse forms of life. Let’s think of rural and tribal people. They are most dependent on biodiversity for most of their needs. They get food/fuel/medicine from plants, fish from ponds/rivers. Aquatic plants and animals keep our water bodies clean. Urban people too are dependent on these rural masses for their food. If they don’t get land for cultivation and wetlands for breeding fish they will be poorer as they need to buy that from market. Take a case when you have the money but no resources available to buy. We will be nowhere. So we can secure our future by protecting biodiversity. Marine life too plays a great role in preserving our ecosystem. All are important and we can’t ignore any form of life. In the name of industrial growth and human development we destroy natural habitats. This act can prove fatal to our own sustenance. If we don’t take care of nature it will not take care of us. We’re all like animals at the beginning. When there is diversity among different forms of life there is some need for it. We need to respect the law of nature. There are many forms of life that we know and there might be many more undiscovered till date. What is the significance of biodiversity to us? We’re all the same at the beginning like any other species. Human race have evolved over a period of time to its present form. They become stronger and smarter. It’s god’s grace that we are the smartest of all the races known till date. We are gifted with knowledge and power to live a healthy life. We feel we can just gain control over anybody and anything on this earth because of our superpower and scientific growth. Can we really gain control over our fate and future if we abuse our power and knowledge? If there is any superpower what I believe to be present in the form of GOD must be angry with the act of human beings on earth. We have developed our own law which is something like “FOR ME TO FLOURISH YOU NEED TO PERISH”. This may be a thought in my mind but that is very true as we always look out for possibilities of development and growth at the cost of others. It’s against the law of nature. We can draw examples from animals. Even a tiger don’t hunt unless it feels hungry. If we fail to protect others we might end up losing our own race. I don’t know the real cause of extinction of dinosaurs from earth. Research has many findings. But i think it is because of nature and can be attributable to the changing climatic conditions where they could not adapt well. Is our human civilization in danger and facing extinction? I’m not thinking negative. It can be a possibility. We are least bothered about biodiversity and the prosperity of other creatures. Population of polar bears, tigers and penguins are on the decline. There are many new species discovered in Antarctica. Nature may develop some new species smarter and stronger to us who can adapt with the changing conditions. The worst could be if they don’t like human beings to prosper with them. Biodiversity indirectly controls our environment and climatic conditions. For our scientific growth and development we conduct many experiments that do more harm than good to our biodiversity. The largest ozone hole till date was discovered in Antarctica. Ultraviolet rays from sun are harmful for our biodiversity including human beings. I still remember the gory pictures appearing on TV screen after the war in Iraq when oil tankers were spilled into the ocean. The marine life suffered the biggest setback I know till date. I don’t know how many aquatic creatures lost their lives as they could not adapt themselves in a poisonous environment. The oil was floating for months together and in that condition the major problem for marine life was lack of oxygen. It is the law of nature to maintain a balance among all its life forms. It’s our duty to abide by the law and protect our natural resources. If we break the law, nature will create havoc and show its fury as we observe in the form of natural disasters, non-seasonal changes in our climate, global warming, acid rain etc. These days we observe earthquakes, tsunami and super cyclones frequently unlike that in the past. I remember the time of super cyclone in Orissa in the year 1999. I was an eye witness and observed the plight of people both in rural and urban areas. Electricity supply disrupted for about fifteen days at our home which is located in the capital. Most of the trees uprooted and few stood still without any branches and leaves. The following summer season was too hot and day time temperature was about 48 degree Celsius. It’s all because of nature as we fail to protect our biodiversity. What best can we do? When nature needs to maintain a balance we can restrict our growth in population to our present habitat and land available to us for construction. Let’s don’t invade the land of other creatures. We van protect jungles and water bodies. It’ll never restrict our growth and development. In fact it’ll accelerate the process and help in alleviation of poverty when we are less in number. Less number of people can enjoy more resources. Changing climatic conditions has repercussions. Its impact can be very harsh for human beings. When there will be no/few jungles, animals and plants the day time temperature may increase drastically over a period of years. There was an advertisement in some Indian English daily news paper few years back. It was all in pictorial view about the changing climacteric conditions and its possible impact on us. Let me translate few of the pictures I remember to words as I understand. It had a prediction about our living conditions in the year 2050. The average day time temperature could rise to 50 degree Celsius and it will be at subzero level during the night time. Trees were shown standing still without green leaves. People use oxygen masks and wear specially built suits like that in spacecrafts to protect them from the scorching sun rays. Few spend time in oxygen chambers in need of fresh oxygen. There was apparently no water to take bath and very less to drink. A person has lost all his hair and children don’t grow hair on their head. A large portion of the present human habitation will be covered by ocean. People don’t take bath but apply some kind of lotion all over the body as an alternative to keep them cool and protect them from radiation. Would we like to see this kind of environment not conducive for human development in future? You may argue these to be all negative thoughts. They arise because of the changing global climatic conditions as we fail to protect our biodiversity. Actually our surrounding, the environment we live in impacts out thought process. I don’t know what guides me and my thought process but I believe there is some controlling force above all of us. I am not superstitious but it happens. The worst could be when we think and act negative and the best could be when we think negative but act positive. I was thinking about flight safety and the very next day morning I got the news of an air crash while landing. I started blaming my thoughts for some time as if there is some connection and later gained control over my emotions. I was so upset that I could not move for a while. If a negative thought can give rise to some positive action I’ll not blame myself. But it’s hardly realized. Now I don’t categorize any thought to be positive or negative. They give rise to new ideas and can be useful by some means. As long as our action is positive I don’t mind a negative thought. I am not out of context of the topic. The more we think about all possibilities the more no of ideas we can generate for positive and timely action. There is no option but to protect our biodiversity and nature to protect our own for sustainable development and growth. Who is accountable to our growth and prosperity? It’s we, the human beings. Who doesn’t want growth & prosperity? I don’t think we can find anybody in this category. Can we realize growth in long term at the cost of others and our nature? It doesn’t sound good to me. Now we should keep a strict vigil with a bird’s eye view on all our action. We must regulate it and step back if it’s not in the betterment of all living creatures. It’s is in our hands to protect the human race from a possible extinction. All the natural forms of life play some role in regulating our environmental conditions. They are all important and if we protect them by protecting their natural habitat, nature will give us protection and that is the rule. No scientific development can protect us if we don’t give protection to our nature. I’ve shared mine and now it’s your turn to help me learn better with your valuable thoughts and comments. Let’s protect ourselves by protecting our environment to develop a better world! A safe environment can lead us to a great future!! Categories: Uncategorized | Tags: biodiversity, nature, society, world environment day | Permalink. ** Comments help me learn more. I am expecting your comments on this topic. Categories: Uncategorized | Tags: politics, society | Permalink. I’ve read many a times where GOD was termed to be the supreme human resources manager. Well, for an atheist this may not be true but for others who believe GOD to be the creator of this universe, it holds good. He blessed human beings with qualities that distinguish us from all other species. Today the human race is being considered to be the best known race on earth. We virtually control all others but fail to gain enough self-controlling power. The creator has an additional responsibility to manage human beings for better functioning of the system. I don’t have a degree in the field of HRM. I’ve not even read any book on HRM. I’m now going to write something about the HRD as i understand that better from my personal experience with people and places. Categories: Uncategorized | Tags: corporate world, society | Permalink. ** Share yours – I am looking for more ideas through your comments. Categories: Uncategorized | Tags: environment, society | Permalink.